1913-1916. Possibly owned before 1913. 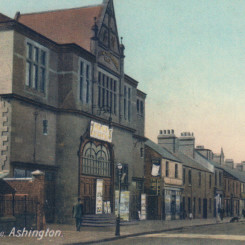 Built in 1896 it was the first theatre in Ashington. There is mixed evidence as to ownership before 1915. A C Moody is referred to. After being closed for some time Wallaw Pictures Ltd. built the new Art Deco style Regal Theatre on the site in 1937. This closed in November 1979, and after laying derelict for many years was demolished and a nursing home named Station Court was built on the site. The new Regal was a partial rebuild of the Miners Hall. 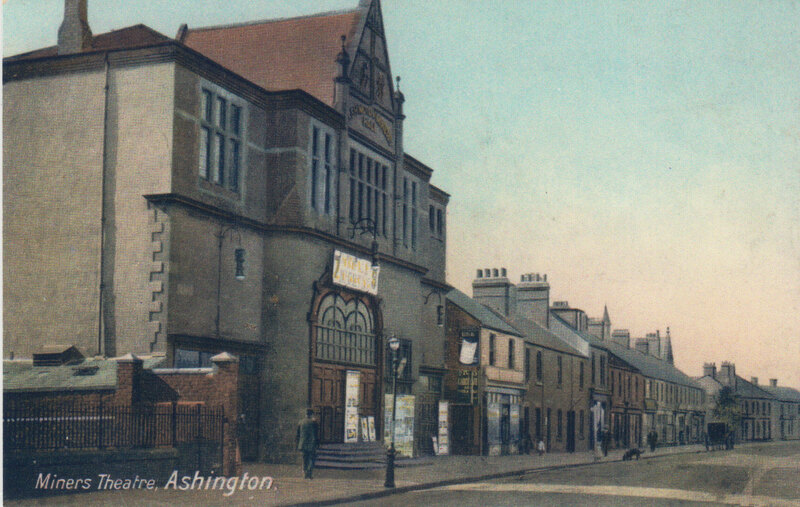 The frontage was new but the original auditorium side walls and stage block were retained. A new auditorium was built inside the shell of the original one. When the Regal was demolished in 1990 the top of the original proscenium was revealed above the 1930s proscenium. I was lucky enough to be given a full tour of the Regal a few months before closure and I also gained entry a few times after closure and during demolition. I took many photo’s including some not too long after closure when the building was used as storage for it’s owners, the Noble Organisation. Unfortunately I didn’t get any when the Regal was open as a cinema. Housing now occupies the site of the Regal. The nursing home mentioned above is further down the street.